At the age where your child might want to learn colors? 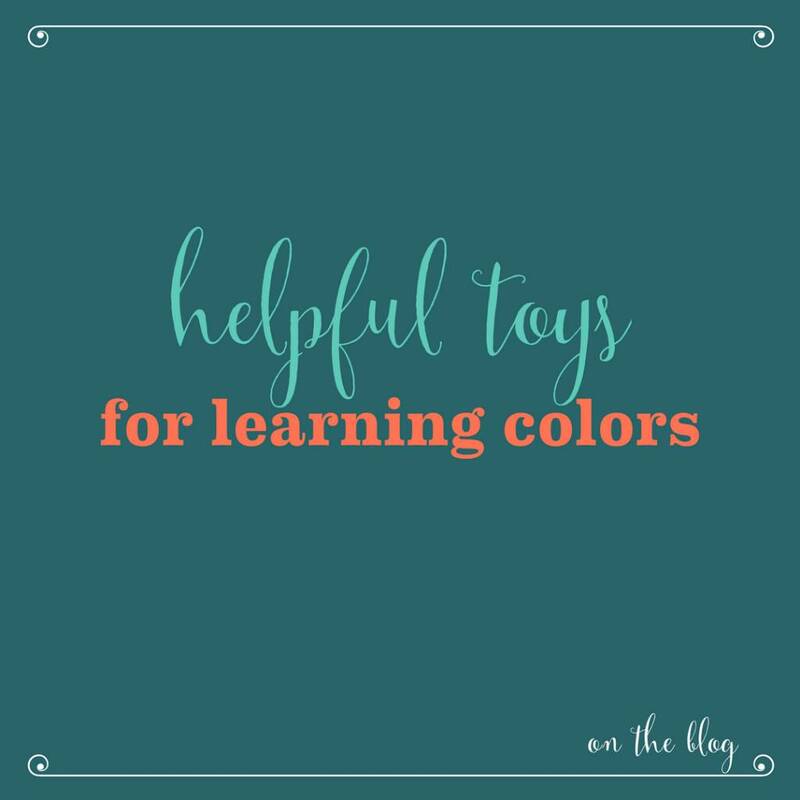 These toys are great for identifying colors and learning the variations! My daughter started talking around 13 months old. Every baby has their own development path, but as soon as they utter something other than 'ma-ma' and 'da-da' it's so fun to watch them learn and grow their vocabulary! In the months following, as more and more words started to come, I was excited to start teaching her some classroom basics: colors, shapes, numbers, and letters. She very quickly jumped on to shapes and letters but I noticed that she wasn't always understanding how to correctly identify a color. She seemed to be guessing colors instead of truly knowing red from yellow or blue. Playtime is actually learning time and these beautiful wooden houses are perfect for setting up a 'mini neighborhood' on the floor for your baby. 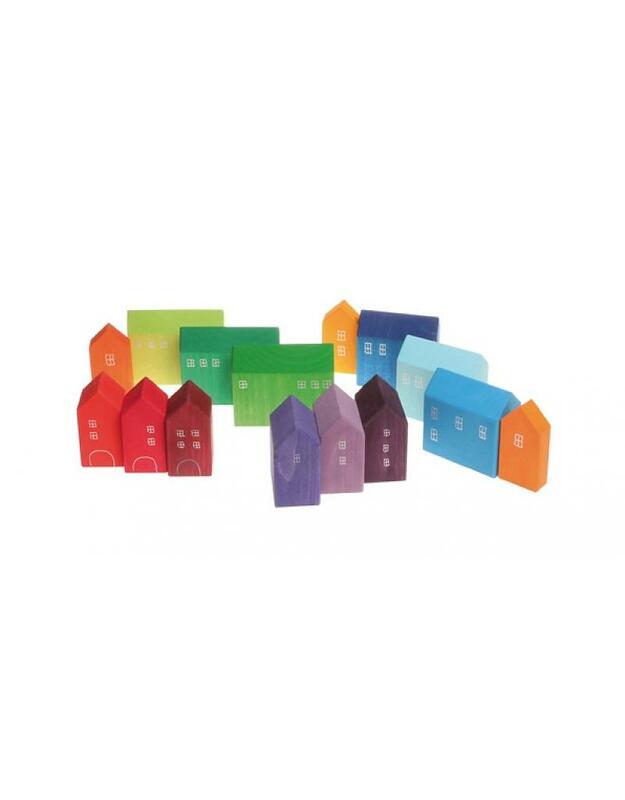 I love the beautiful wooden quality of all of the Grimm's toys - and these houses in particular have bold and consistent colors that are easy to identify. Asking things like, "can you hand me the red house?" or "do you want to live in the blue house or the purple house?" is a great way to start having your child learn to identify these color variations. I also love that this toy has lasting educational value as baby can understand more complex ideas like 'light purple' versus 'dark purple'. Anything on wheels is always a safe bet for a toddler! I've found my little girl loves these just as much as little boys do. 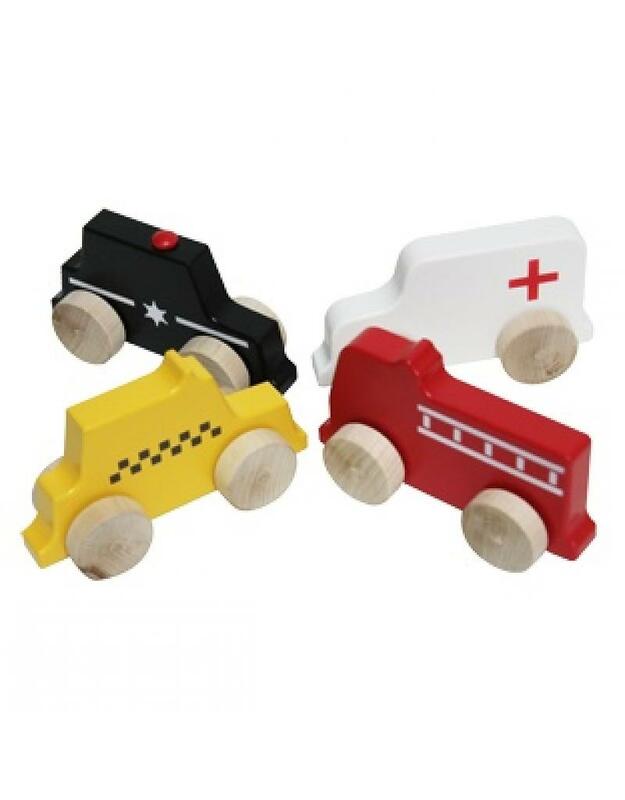 The nice thing about these trucks for learning colors, is that there aren't a ton of other distracting differences between the trucks. I found that many other trucks and cars have multiple colors on them or stickers that can be distracting or confusing for the child. Okay, so I already chose one car/truck type toy... but I chose this set for a very different reason. City vehicles are one of my daughter's favorite parts of living in/near a big city. She loves hearing the sirens and spotting the different types of cars on the street. Practicing colors with the "yellow taxi cab" or "red fire truck" while at home, helped to continue the learning outdoors and make colors part of our everyday stroller walks. I knew she was getting stronger with colors when she could tell the difference between ambulance and fire truck. Both loud, large truck-style vehicles - but one is always white, the other is always red!